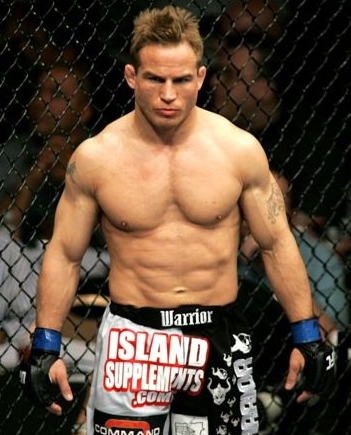 Sean Sherk will prove that he is not and underdog to Dunham. And he will definitely prove that he is still part of the elite fighters on the upcoming UFC 119. Former UFC light heavyweight champion, Sean “The Musical Shark” Sherk, owns an impressive mixed martial arts resume. The 37-year-old fighter has only four losses and has 21 finishes among his 32 wins. But despite all that, he was plagued with injuries for the better part of the year. Nevertheless, he will prove that he still belongs to the elite 155-pound fighters as he takes the unbeaten Evan Dunham in the upcoming UFC 119, on September 25, at Conseco Fieldhouse in Indianapolis. Sherk has not competed since his unanimous decision loss to Edgar at UFC 98 due to injuries. And despite his lengthy career and awe-inspiring victories, he still finds himself an underdog to Dunham. Still, Sean Sherk does not care. And even if he took a year off, The Musical Shark does not anticipate any negative effect when he re-enters the cage to face Dunham.